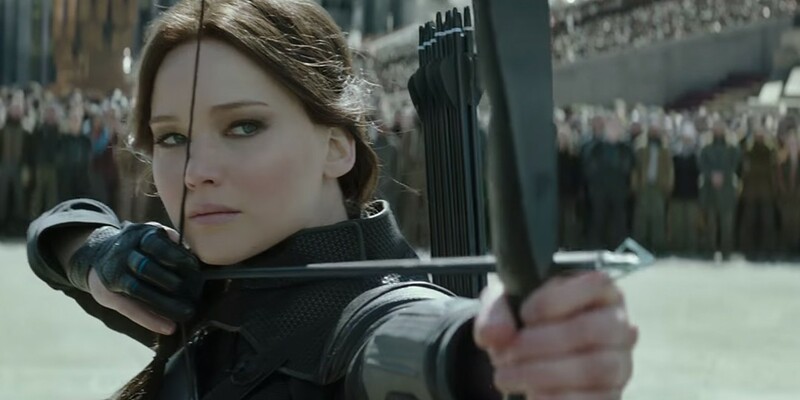 In 2012, The Hunger Games arrived in March of all months and blew up the spring box office. A year later, the sequel, Catching Fire, turned in the all-around best, most-exciting film in the franchise. Last year, Mockingjay—Part 1 made the most domestic money of any motion picture (most of the gross from American Sniper came this year). The tune sounded a bit different in 2015 as the final installment of the colossal young adult film franchise debuted to its lowest opening box office. 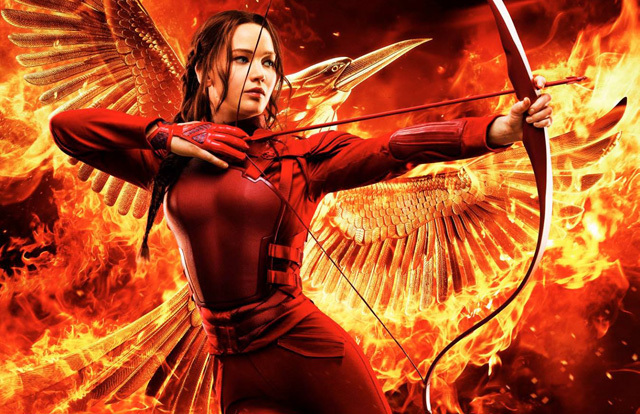 The Hunger Games: Mockingjay—Part 2 still raked in over $100 million and made more than forty percent of its box office competitors combined. Still, it’s not quite what industry analysts predicted. Why is that? From one perspective, the franchise ran itself into Star Wars territory with a group of plucky rebels fighting an evil empire, culminating to a final chapter so painfully predictable it’s astounding to think that Color Force figured breaking one book into two movies was a good idea. Simply put, The Hunger Games isn’t Twilight as the audience expects more than handsome men and longing glares—which can get feasibly split into a couple movies. One can’t wait to hear the excuse (beside money) why the final Divergent film must be split. Star Wars territory would be a kind term for what Mockingjay—Part 2 encroaches. Just like the beginning of Return of the Jedi, director Francis Lawrence (I Am Legend, Water for Elephants) shows a war room led by actress Gwendoline Christie (now a part of Star Wars herself) dressed as close to Mon Mothma as anybody else on film since 1983. In this war room are a group of rebels circled around a white table making plans. The plans themselves are 3D holograms. What in the galaxy far, far away is happening here? After this jarring bit of obvious, the film opens itself up to a predictable conclusion. The two opposing presidents become some amalgamation of the Emperor (with the despotism of Jabba the Hutt) while Katniss rises to the leader/ icon/ champion/ chosen one for the resistance a la Luke Skywalker/ Darth Vader (she’s even dressed in black and wears a cape). Peeta, like Han Solo, is recovering from a recent escape out of an enemy compound only after a squad of rebels extracted him. There’s even a character that looks like another humanoid creature! Imagining that Francis Lawrence directed Catching Fire and the last two films now seems far-fetched. While many consider the first sequel as the best in the series, the last two sequels exponentially dropped in quality as if to say, “Too late, we got your money!” While it’s certainly possible the weekend snowstorm that hit the Midwest affected expectations, one might suggest that the recent rise in television content quality over the filmmaking industry could wind up as the culprit of the missing money. Last week, Netflix Instant Streaming released two shows: first came British crime-drama “River” on Thursday, then Marvel Studios’ “Jessica Jones” arrived Friday. Is it just possible that The Hunger Games can’t compete when Netflix teams up an established brand/ franchise such as Marvel? The continued employment of shaky-cam gives The Hunger Games its signature flavor. Director Gary Ross used this technique in the 2012 original and Francis Lawrence has skillfully continued this element. Having directed the last three of four films in a big budget blockbuster franchise, Lawrence took what made The Hunger Games look different from similar films in its genre and explored the possibilities. Any time an explosion unexpectedly occurs or a huge flying craft crashes into a structure, the camera shakes to instantly heighten suspense by making the viewer feel the immediate uncertainty. The Hunger Games: Mockingjay—Part 2 backs itself up into a predictable corner all-too-reminiscent of Star Wars: Return of the Jedi with more than a couple similarities. Perhaps the franchise conclusion wouldn’t have wound up so obvious if the dramatic tension hadn’t been stretched out to the point of heavy-handed hints to further the plot as the result of adapting one young adult novel into two blockbuster motion pictures. Color Force continues to make a killing at the box office by adapting its young adult franchise, but ultimately, The Hunger Games will unfortunately go down in Hollywood history as the young adult franchise that started strong, but wound up making the same mistake as Twilight and Divergent—believing their conclusions merit the Harry Potter (or even The Hobbit) treatment.